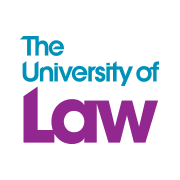 The University of Law is one of the UK's longest-established specialist providers of legal education. We can trace our origins to 1876 with the formation of leading tutorial firm Gibson & Weldon. You can find out more about our ambition and vision for the future here. What really sets us apart from other universities is the guiding principle that the current and future lawyers we teach should only ever learn in a realistic, professional and contemporary context with plenty of practical, interactive engagement. That's why we keep our contact hours high and our teaching groups small. All of our courses – from our undergraduate law degrees to our diverse range of postgraduate courses and professional development programmes – are designed with a unique, varied and innovative learning approach that’s proven to deliver self-reliant lawyers who can compete in the fast-changing world of legal services. With a focus on developing skills in problem-solving, weighing up arguments, critical thinking, and commercial awareness, our courses are designed to prepare you for the real-life challenges of the working world. Our track record of excellence in learning and development has helped us establish worldwide connections within the legal services market. This is why many leading global law firms work exclusively with us to develop their people, and why legal employers of all types want to meet our students. It’s also why law schools and professional bodies around the world choose to enter into strategic alliances with us. The University of Law is an internationally recognised expert in the field of law. Rather than focusing on academic research, our aim is to be thought leaders in the issues that matter to the legal profession and the next generation of practising lawyers. Our courses take an in-depth look into key areas of the law and provide a broader overview of the legal system to better contextualise what's being learned. Over 250 of our tutors are qualified lawyers, many still in practice, and all have extensive practical experience which they are able to pass on to our students. We facilitate this process with high levels of student-to-tutor contact time and small class sizes - one of the reasons that many law firms insist their trainees study with us. We focus exclusively on practice-based training and give students access to our expert law careers service and legal vacancy database as soon as they accept a place with us. Students also benefit from our pioneering and award-winning pro bono programmes, which allow them to gain valuable work experience by helping real clients from the local community.